Using Science to Help Serve Justice. More than any other time in history, science can be used to catch criminals, clear the innocent, and ensure that justice is served. 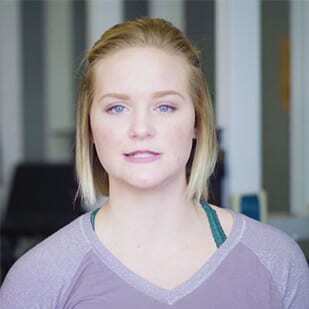 Maryville University’s program in forensic science trains students to play a critical role in the criminal justice system. 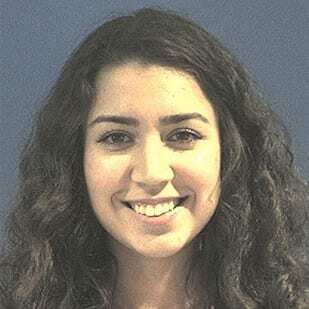 The program combines a strong background in the physical sciences with the real-life aspects of forensic science. 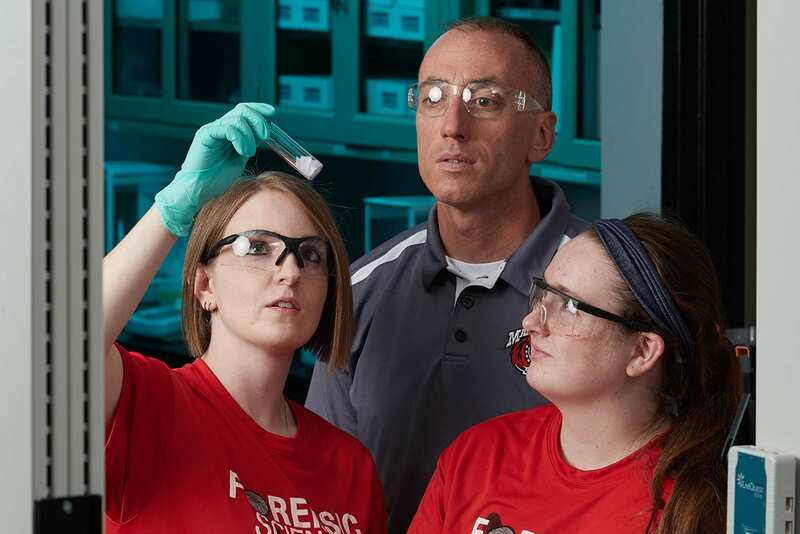 Maryville’s small class sizes and laboratory sessions ensure that students get hands-on experience with procedures and instruments, allowing them to examine actual forensics cases first-hand. All on-campus undergraduate students receive an iPad with access to over 100 apps. Our career placement rate is 97%. Our average class size is 14. Over 51 million in scholarships and financial aid awarded. Maryville’s Forensic Science program offers hands-on, on-site projects as an important part of the learning experience. Lab work is completed in exciting professional environments, such as the Library of Congress. Tom Spudich, PhD, associate professor of chemistry and forensic science, encourages students to be flexible in their approach to learning and keep an open mind for research. 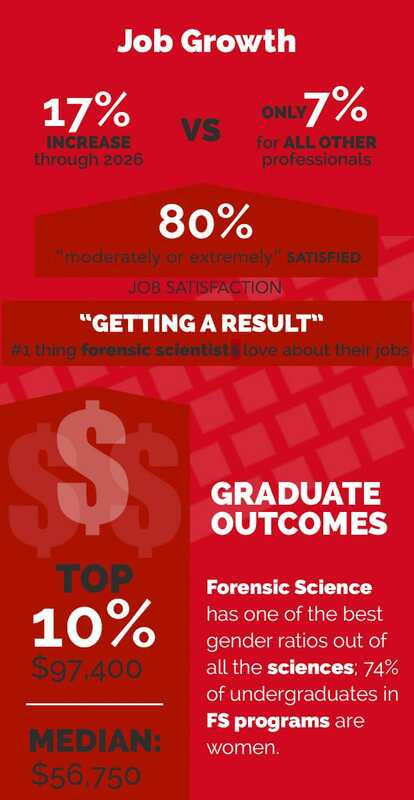 Although on track to grow faster than most other fields, careers in forensic science are expected to increase by only 2,600 new jobs in the next decade, according to the U.S. Bureau of Labor Statistics. Competition for these jobs will be fierce, with the edge going to those who have completed a specialized program in forensic science. Make a difference, starting today. 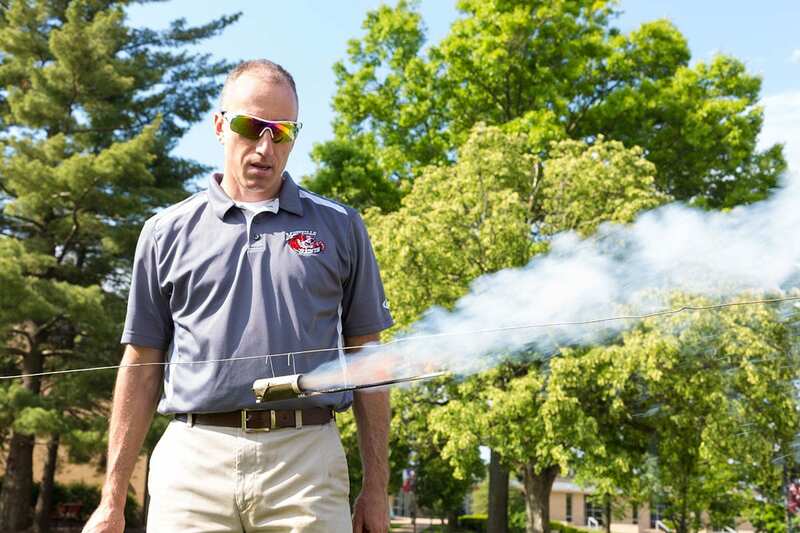 Request information about Maryville University’s undergraduate programs in Forensic Science.